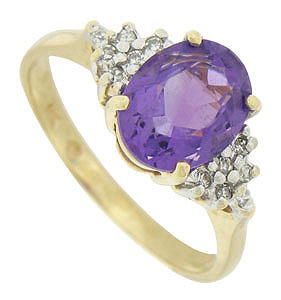 A violet hued oval cut amethyst is the star of this elegant 14K yellow gold estate ring. 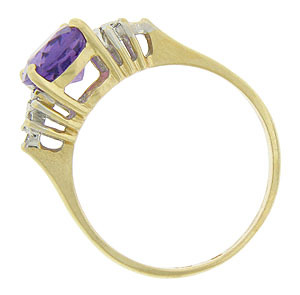 Layers of fine faceted diamonds are set into an abstract leaf figure on the rings shoulders. 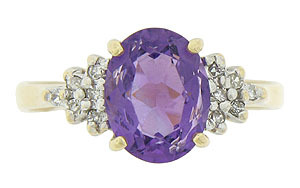 The ring measures 8.98 mm in width. Circa: 1950. Size 6 1/2. We can re-size.